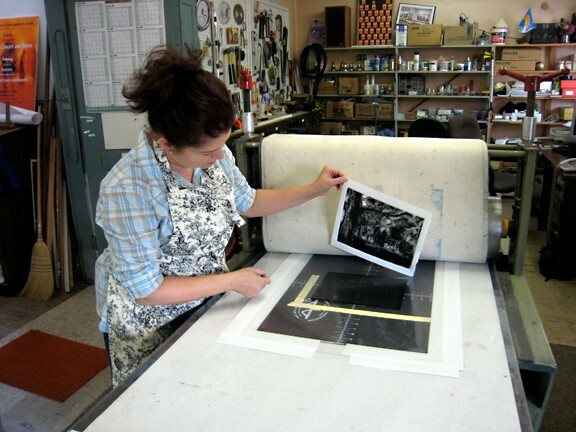 In this two-day Monotype Workshop will be an exploration of color, stencils, textures, chine colle and more to create monotypes using water-based Akua-Kolor monotype inks. Your photos or drawings/sketches of your favorite local landscapes will act as a basis for experimenting and abstracting with texture, line, color and other art elements. Chine colle is a process whereby paper/collage is adhered to your monotype paper. Students will learn to separate and layer color, and use brayers and paint brushes to create rick and exciting prints. Students will become familiar with monotype terminology, use of the etching press, the limits of materials and supplies, chine colle and studio setup. This workshop is a prerequisite for independent use and rental of Coos Art Museum’s Printmaking Studio. Cost for the two-day workshop is $75 for CAM members and $90 for non-members. Registration ends May 1, 2016. For online registration visit www.coosart.org or contact the Art Education Dept. at (541) 267-3901.